Pre-punched flange, complete and ready to mount over roof opening. 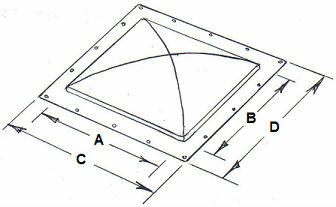 Can be installed on metal or sloped roofs. (Minimum 3:12 pitch). Also see Instructions.